Fall is my favorite season of all! It's pumpkin and apple pie season which we specially buy at this farm stand in Princeton, NJ. Yes, we drive for an hour for the most delicious pumpkin and apple pie! It's "Sweater Weather", and this is when the chilly air is just right for a nice light scarf, which is the only accessory you'll need in the Fall. So when my September POPSUGAR Must Have Box came with one, I was super excited and could not wait for chilly weather to be here already! This is a hand dyed modal scarf that is sold in Saks Fifth Avenue, Fred Segal and Ron Herman. 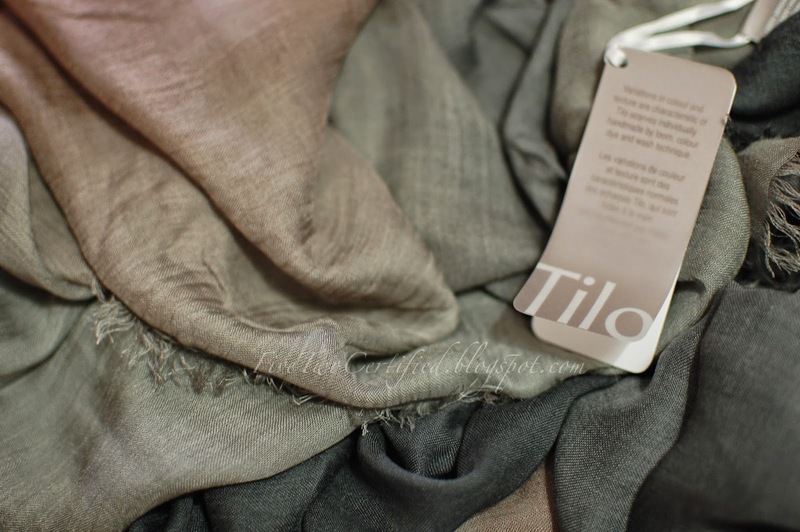 This is a very soft fabric that you just want to bury your face in when the chilly windy air hits you. The nice gray to deep red gradation is pretty neutral to wear with all my Fall sweaters and coats. "When you need to tame those fly-aways in a pinch, this purse-size hair spray from celebrity favorite Oribe will give you reliable hold." I have only tried this once and it has that pretty fine mist and did not leave my hair all crunchy. It held the curls all day and yet the curls were still very bouncy. 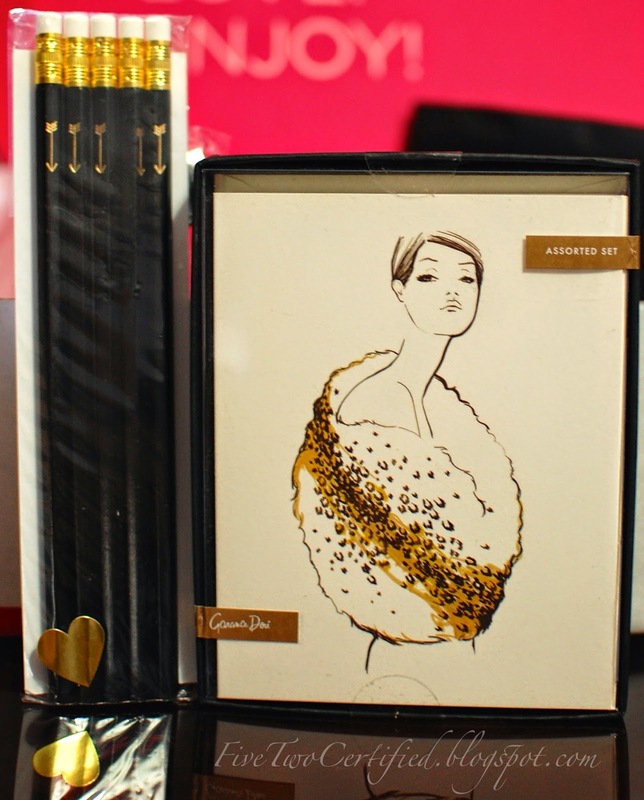 This is a stationary set with blank interiors and iconic illustrations by Style Blogger, Garance Doré. I love collecting stationaries and this set is so glam I don't even want to sharpen those pencils and just leave it as a display on my desk! I may just use the cards as a wall decor, won't they look great framed?!? It will add that nice touch of glam to my office corner! This navy blue ear buds come with three ear-cap sizes and a mic. I unfortunately, do not like these earphones. 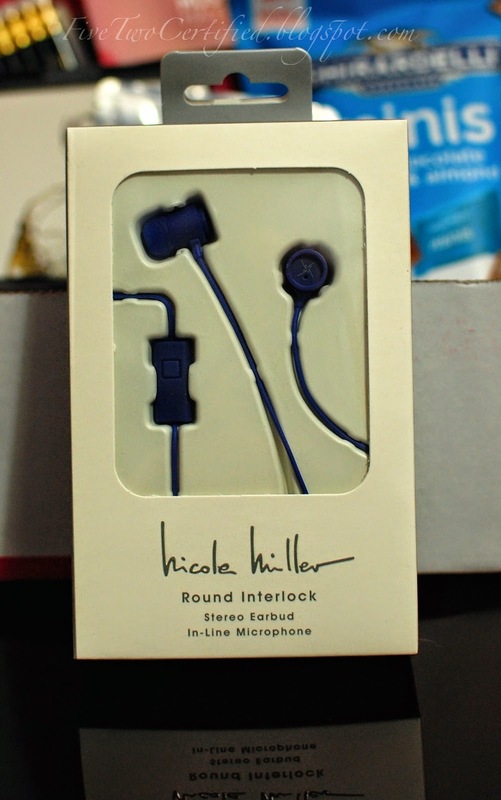 I am saddened that Nicole Miller, a huge American Fashion designer has put her name on a product that has such poor sound quality. 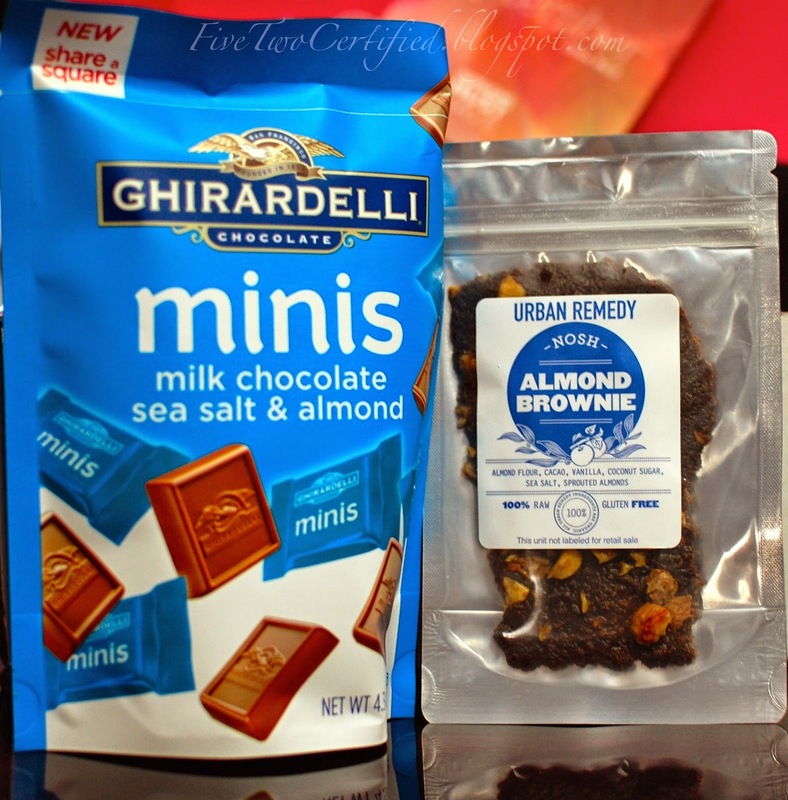 "Made with 100 percent organic, quality ingredients, this almond brownie from Urban Remedy, for which Cindy Crawford is a brand ambassador and partner, is the smart way to indulge." I love, love this brownie! It has the right amount of chocolate-y taste to it and not overly sweet and it's all healthy for you! Packaging is very different from others but I'm glad it's resealable so I can have half now and half later! These are individually wrapped milk chocolate with sea salt and almond crunch that is perfect to have on-the-go or when you just need to satisfy that sweet tooth at night. "After you've found your perfect Nike Pro Bra, use this $20 gift card to make the look complete. This new bra collection features over 25 sizes to give you the desired support for the perfect fit." 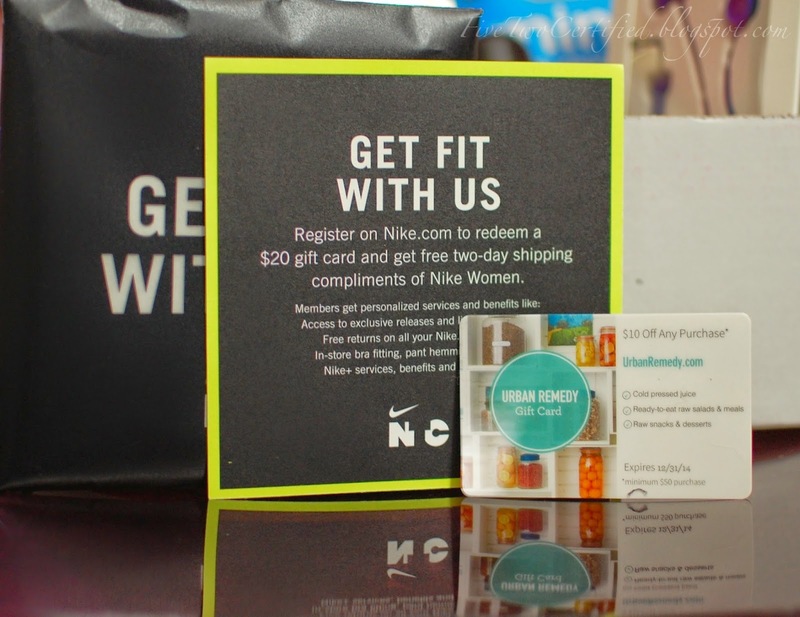 I have not used this gift card yet but I am very interested to check out the new Nike Pro Bra collection! 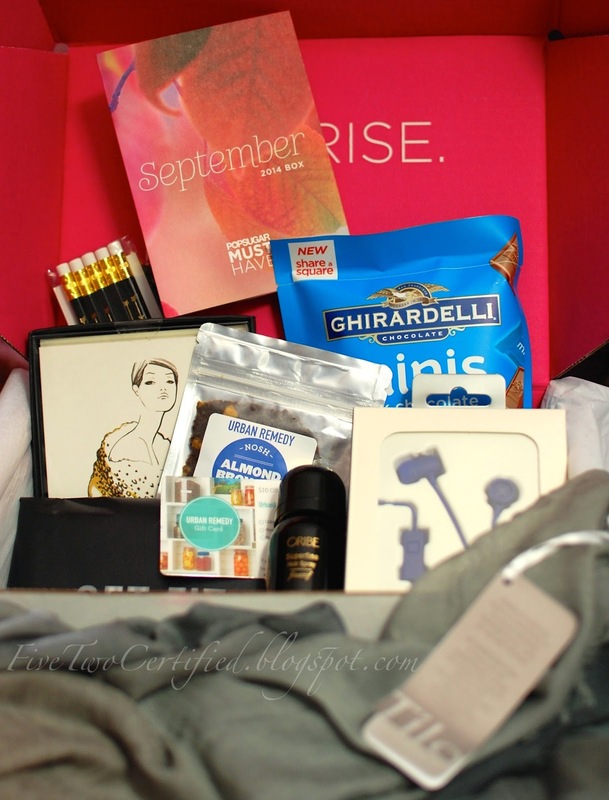 Overall, this is another great box from POPSUGAR! Though the earphones were very disappointing, majority of the stuff in the box is going to be well used! 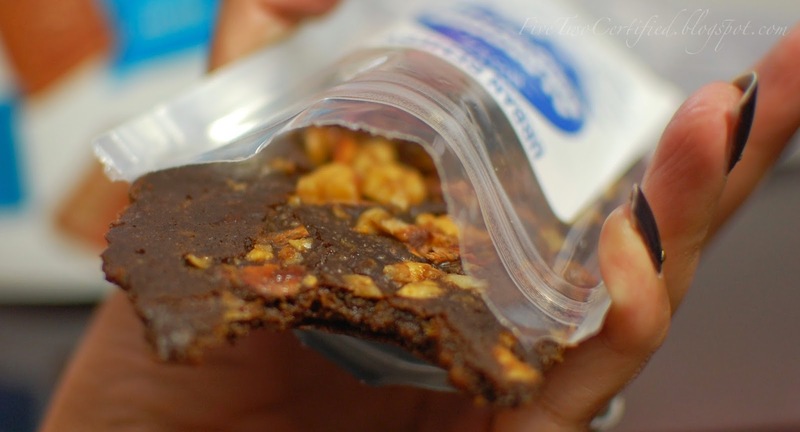 I love the food they feature and from pasts boxes I have actually re-purchased a few of the snacks, and I am definitely purchasing some of these brownies! I am excited to use the scarf and start my DIY decor with the stationary set!